Do you make money from your blog? 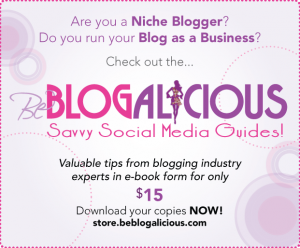 Do you attend blogging conferences for your business? Do you work out of a home office? Are you feeling stressed about filing your blog-related taxes this year? Have no fear, Shannon is here!! Shannon Nash, CPA and Attorney, of Nash Management Group , aka the Tax Diva, will be walking us through all of the important information, tips and advice that bloggers need to know when it comes to filing their taxes. Shannon presented this webinar last year and the positive feedback was tremendous! Get your money right and join us for this valuable webinar. My name is Yolanda Neal I attended Langston University and I have never attended any blogging conferences, can you update me on these conventions? Also, I am 50 years old and I would like to know about the success of Home Base Business and how to raise your capital and networking with purchase of Trendy Fashion from the East Coast. I have many friends that attended Langston University that live in the Washington, D.C. and our Homecoming is coming up on October 15, 2011 which they have a very big GALA that have helped students with there education. An, amount of 2 million dollars was raised just for purpose. But, I am an Business Administration Major having 25 years of retail experience, and I also would like to know what is the procedure for filling out taxes in your home? I do know that an EIN number you must have and what kind of tools do you suggest to keep on track with all of this. E-mail back at the above e-mail address. Thanks, look forward to hearing from you soon. I did open up a new blogger account under yneal7631@yahoo.com post your comment! I have no picture at this time, but I will post one soon! Thanks!